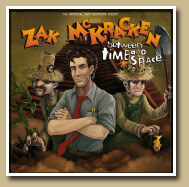 "Zak McKracken: between time and space" is an unofficial sequel to the adventure game "Zak McKracken and the Alien Mindbenders" released in 1988. 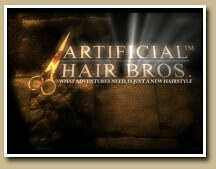 We, the "Artificial Hair Bros." have devoted our time to create a worthy follow up to this all-time-classic. Capturing the mood and of the original game and creating something new nonetheless. It's been a while since Zak's last adventure. People have forgotten all about our hero who saved humanity from enslavement. His five minutes of fame went by way too quick and the money he earned with his award winning book went down the drains when Zak decided to get his own newspaper off the ground. We think that hand-drawn backgrounds made some of the old adventure games something very special. This is why we decided to keep the gameplay stricly 2D. But Zak:btas isn't just a pixel-adventure, we have created the scenery and characters in our own graphical style and added 3D cut-scenes to add some diversity. One of the biggest challenges has been recruiting a team one could rely on and keeping the members of the team motivated to work on their respective parts. Unfortunately not everyone is motivated and passionate enough to work on a project for free over such a long period of time. 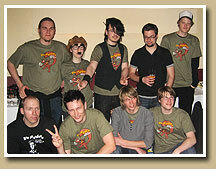 But we were lucky enough to find reliable members for each part of development. You really do need a good working team to master a project like this.